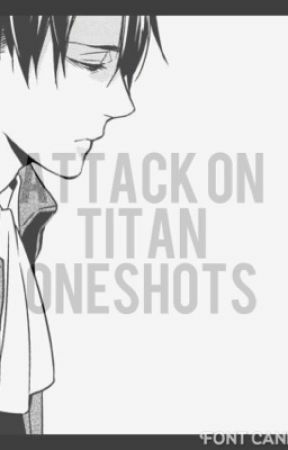 It had been two days, and you had finally been called to court since then you took classes upon classes about titans and how they functioned, you were stationed with the other cadets and had made few friends that eren had introduced to you. You often took personal tutoring from Hanji but you dreaded them because you feared she would never stop! You had to wait until levi would pass and although you hated it you would use him as a ticket of a way out. Currently you were sitting quietly in your usual outfit from the day you came her to, the faded red dress that had strings for buttons, the hem had got cut but you didn&apos;t mind. You sat in front of levi in the carriage, the two of you alone, arms cross having a silent un declared staring contest, the tension was thick. The relationship between you had not gotten any better, when the both of you were in a room you both wouldn&apos;t stop making witty come backs to each other, people often told you that the both of you seemed to be a couple in a never ending fight, but you would snarl and always reply with,"I would never date that short cake." "Stop staring at me (Y/N)" he snarled narrowing his beady eyes, I smirked and turned my head the slightest in a cocky fashion,"why don&apos;t you stop checking me out pervert!" I smirked thinking I was victorious. He just replied with a click of his tongue like he always would when I made a comment about how much he was a pervert. The carriage wobbled to a stop and we both stepped off the carriage. Levi being the huge gentlemen he is didn&apos;t help me and completely ignored my existence. I followed closely behind him getting frightened about what they were going to do to me, to be honest, I was scared shitless, I would never admit it in front of levi though, I knew he would just mock me. But, thinking about dying against the cause for something I had nothing to do with, just felt like the death seemed wrong, and I wanted to be remembered. 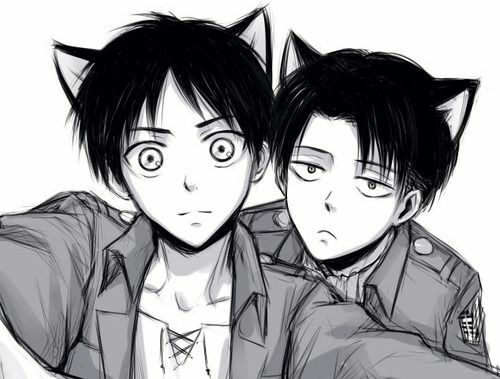 Levi noticed my quietness and sighed,"don&apos;t screw up idiot, it&apos;ll cost you your life." 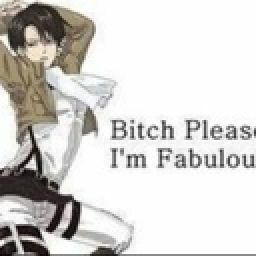 He stated sternly, I glanced over at him and rolled my eyes,"thanks levi, that&apos;s so reassuring! I feel so much better now." I said cockily, but strangely, he did give me a sense of comfort. We entered a set of two large dark wooden double door, brick cement walls. I looked around at the dimly lit area feeling uncomfortable, the two of us continued to walk in silence, then we split ways. Two tall guards pushed me inside the court room, I stood in the centre of the large room filled with wooden seats and windows. I stood in the middle of the room. Marble muddy green flooring, a old man with a strong build stood few feet away over a large wooden stool. I glanced around the room, from what I&apos;ve learned about the world so far were that there were 3 walls, wall Maria, wall rose and wall sina, and three groups that are made in order to protect the three walls and civilians. The scout regiment, the military police and the stationary guard. "I presume your (Y/N) is that correct?" The man spoke calmly as he placed his glasses on the bridge of his nose. Sweat started to a swirl on your forehead, as small sections of hair started to stick on your skin like glue. You swallowed the lump in your throat and nodded,"yes, that is correct." He nodded,"you are here in court to decide wether we should give your to the scout regiment or the military police-" he nodded to himself,"any objections?" He asked waiting for your approval, you shook your head and he nodded once again.